It's childbirth ed... done differently!! 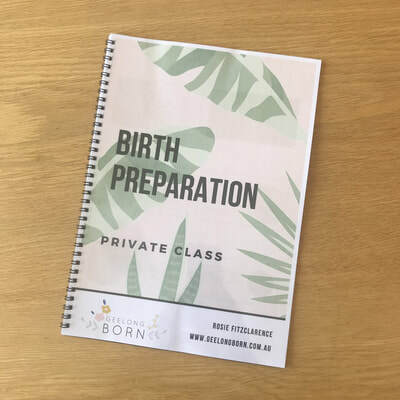 Our private class options are the ideal choice for those seeking a truly personalised approach to their childbirth preparation. Each session is tailored your own individual needs and schedule. The content is evidence-based, modern and interactive. Geelong Born Birth Preparation sessions are geared towards parents expecting their first baby, however anyone wanting to gain further knowledge and tools will benefit greatly. Weekday, weekend and evening times are available. As these sessions are usually “delivered” in your own home, the ideal location for this is a comfortable space such as your living room. An extension cord, provided by Geelong Born, will then be run from our laptop to your television (most televisions will have this HDMI outlet). The class slides and videos will then be displayed on a larger screen and you can then relax comfortably on your sofa! We recommend your class/classes take place any time from 24-35 weeks gestation. This program has been created by Rosie specifically for Geelong Born. There is no charge for travel within a 30km radius of Geelong. Prefer not to do it in your own home? No sweat! There is the option of arranging a time to do this in-house at Bump and Bub Health Hub in Geelong OR at The Hermosa Co in Torquay. *Additional fee for venue hire applies. Can partners be involved in these classes?? Absolutely! These days partners play more of a role in the labouring process, so it makes sense that they attend our classes too. Birth partners are encouraged to be present for this. In saying that, if mums want to go solo then that’s fine too. Full Program - Single Day : (6 hours) - One-to-one session. Flexible start time. Private full day class with Rosie, Jo or Sarah. A light snack is provided with the full day option. Full Program - Over Two Sessions : (2 x 3 hours) - One-to-one sessions. Split over two days or evenings. Private sessions with Rosie, Jo or Sarah. Full Program - Over Four Sessions : (4 x 2 hours) - One-to-one sessions. Split over four sessions. This is the full program with greater time allocated for discussion. I will also assist you in the development of your own birth preferences. Single Session : (2 hours) - One-to-one intensive session. Private session with Rosie, Jo or Sarah. Short on time? Maybe a refresher? 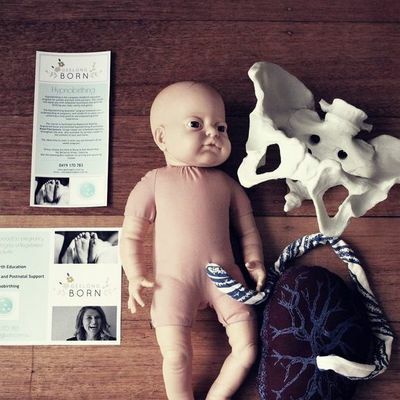 ​This intensive session hones in on the most important areas of childbirth and the topics are specific to your needs. It really is TWO HOURS OF POWER!! To book just click the link below. Please let us know your preferred dates/times. Payments can be made by cash, direct deposit or PayPal. Full payment due on commencement of program.